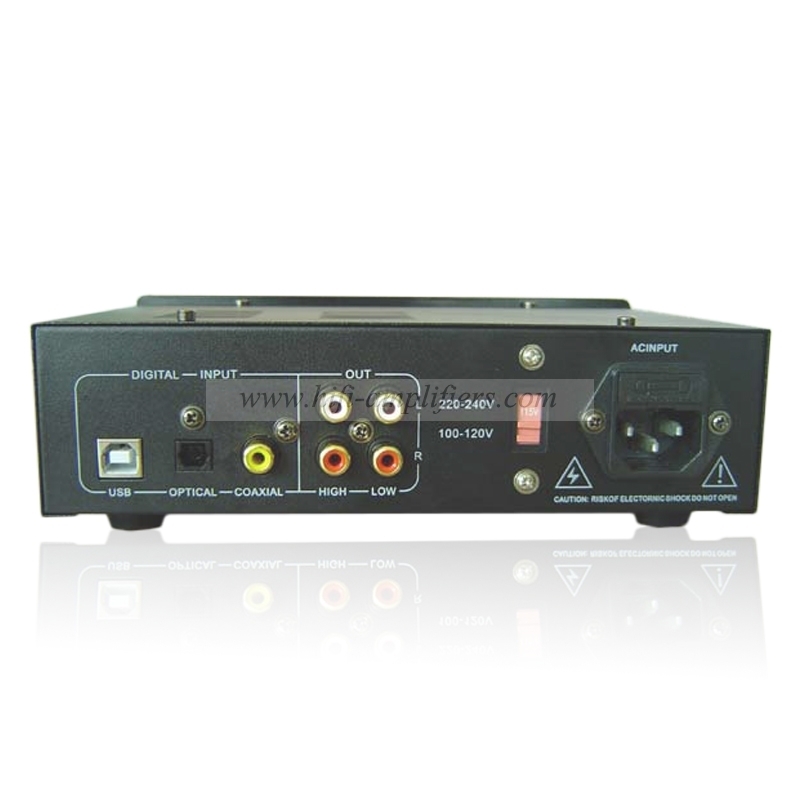 The machine has 3-way signal input switch: coaxial, optical fiber, USB. 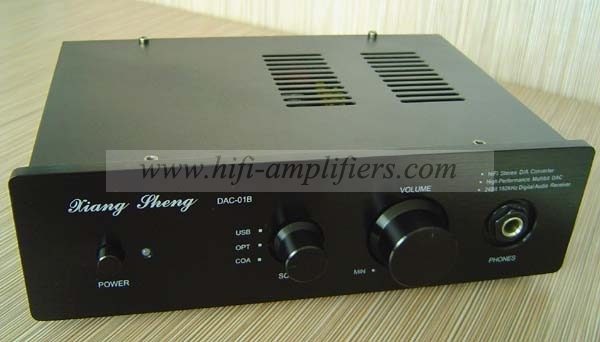 The machine has two stereo RCA unbalanced output: convenient with different output levels of the amplifier. 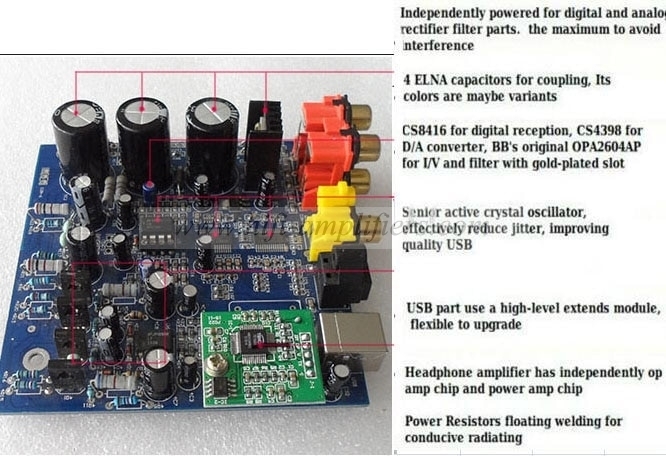 The main amplifier board with double-panel design, production of fine. 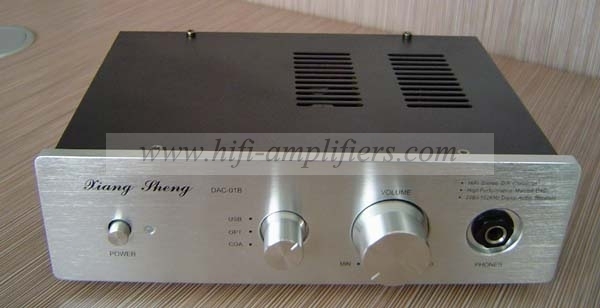 This machine is also designed with headphone amplifier output, the circuit reference to the classic lines, the use of integrated op amp + discrete pieces of power in the form of tube expansion, the last stage amp current amplification using emitter follower, because the push headphones, Like the power amplifier that requires a lot of current, so the emitter resistance value does not have to be small, so you can increase the final feedback, reduce distortion and improve stability. And add Joubert network, to prevent high-frequency self-oscillation. In order to protect the headphones, plus the output resistance and output capacitance, in order to ensure a sense of hearing, the use of large capacity electrolytic parallel small capacity monolithic capacitor method, so that low-end high-end signal coupling smooth. 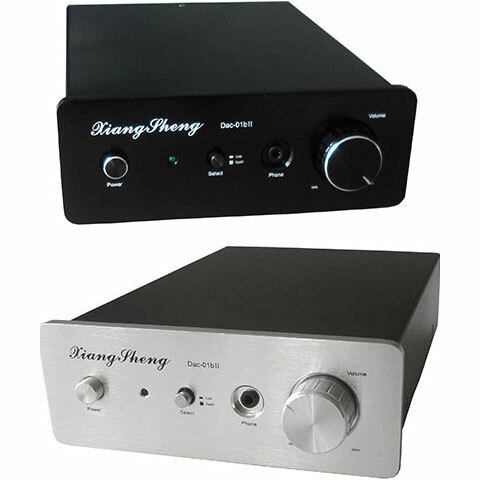 With a variety of headphones actual audition, the driving force is very good, structured, clear details, good strength, upgrade the op amp will be improved, to play the machine to send Shaoyou provides an upgrade space. 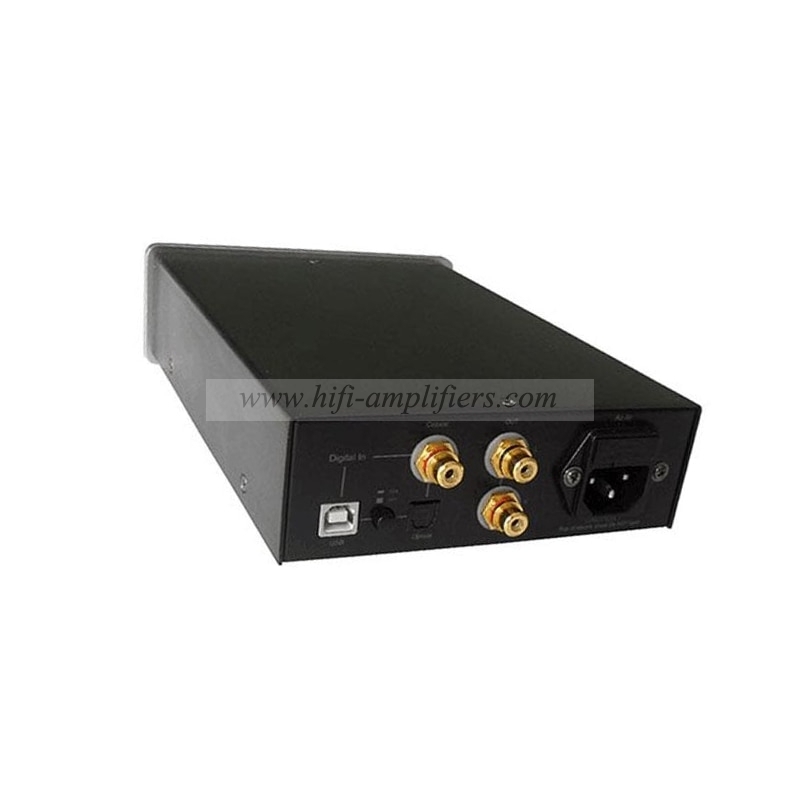 The headphone boost and isolation buffers are National Semiconductor LF353N (field effect input dual op amp, warm and delicate), and NE5532 op amp and said four name op amp. Can upgrade their own more advanced HiFi op amp. 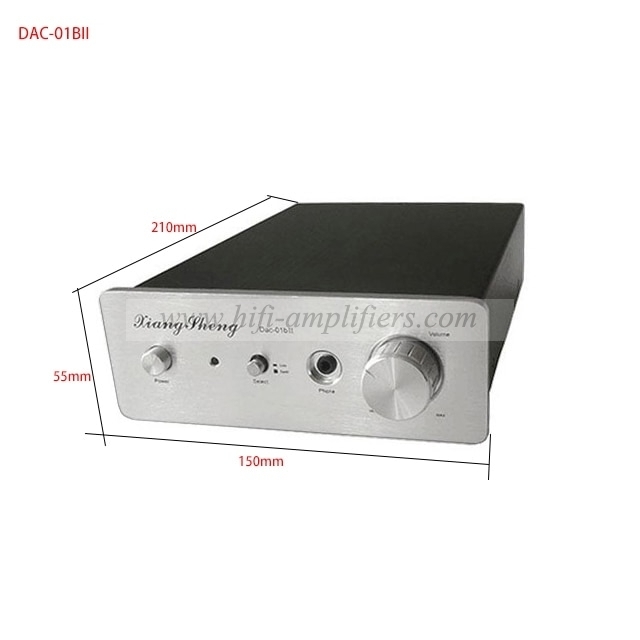 The machine resistors, capacitors are used high-quality discrete components of hifi components, so that sound quality can be guaranteed, but also easy to replace the motor components. 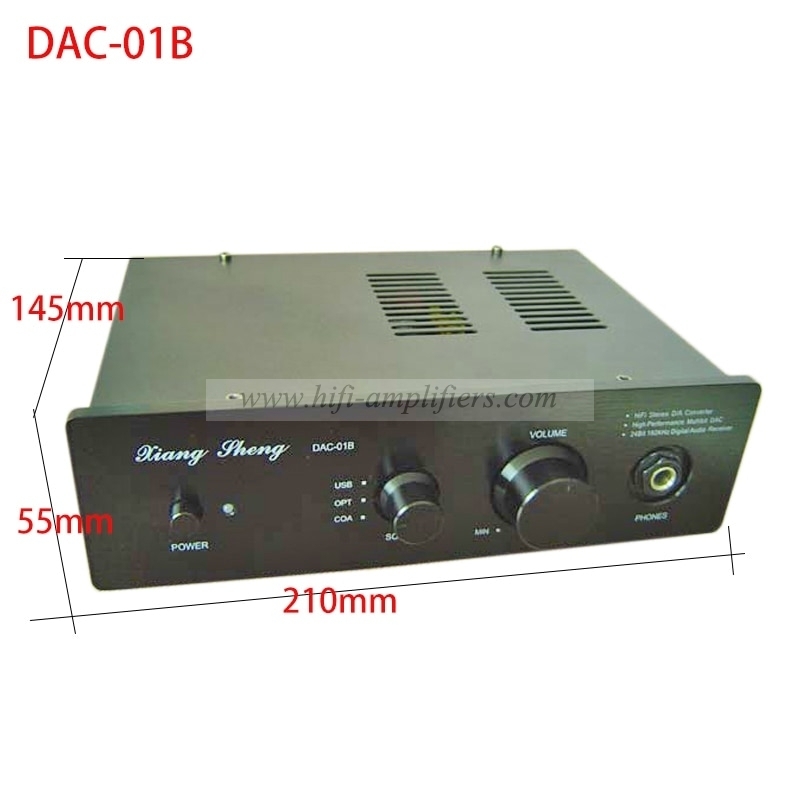 To ensure a pure sound quality, high resolution, small sound, wide sound field advantages. knob and buttons are used metal knobs and buttons. 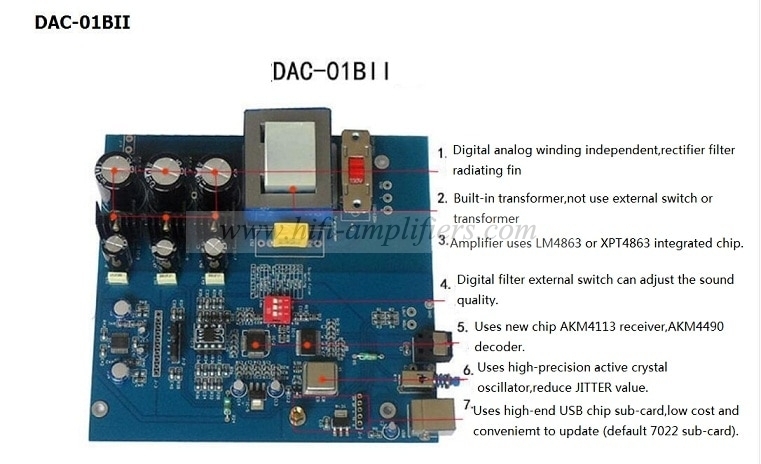 digital part and analog part of the independent rectifier filter regulator power supply to reduce interference. volume potentiometer used in Taiwan. Line output RCA, coaxial ports are gold-plated processing, reduce contact resistance. ★ Support the following sampling frequency: 44.1kHz, 48kHz, 88.2kHz, 96kHz, 176.4K, 192K. ★ Weight: Net weight of about 1.8Kg, with packaging around 2.5kg.